Every computer on the network needs a unique IP address to be identified by the other computers on the network. What happens sometimes, is Windows attempts to procure an IP address that is already in use on the network. More often than not, it usually starts using IP addresses that start with 192.168.11.x or 192.168.1.x where the 'x' is a number between 2 and 100 that usually represents the number of computers using the router, plus one. If you have 5 computers on the same router, then your IP addresses could be 192.168.11.2, 3, 4, 5, or 6. 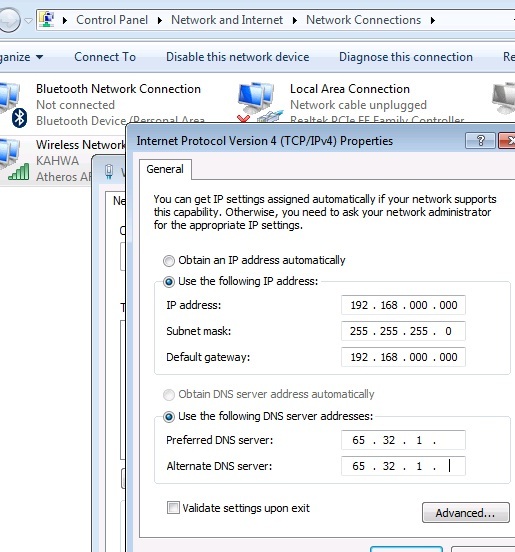 You can set your IP addresses up as "static IP addresses" with this tutorial. You could set it to something like 192.168.11.9 so that when your cousin comes over to the house with his laptop, s/he doesn't take up an IP address that is typically used by one of your computers in sleep or hibernate mode. Sound like something similar to what you have experienced? Well then, let me try and give you a hand. DISCLAIMER: I apologize for being very detailed in advance. I am not sure of your level of skill and I write all my answers and suggestions in such a way an 8 year old can follow. I mean no insult or disrespect. I'm going to explain a little about what is happening with your router and network connections so that you can troubleshoot and tweak it to work right for you. No two networks are EVER the exact same, which makes it hard to explain exactly how to set one up without being the one clicking the mouse and typing on the keyboard. Aside from the obvious (computer, keyboard, mouse and internet connection), you need to know your Internet Service Providers DNS Server IP addresses (there should be AT LEAST TWO!!!) before you start!!!! You will also benefit from having the instructions or a manual for your router or switch. If you have a switch instead of a router, then the terms can be interchangeable for this particular explanation. Chances are, you have a standard Internal IP address of something like 192.168.11.1 - MOST routers like Linksys and Netgear use 192.168.x.1 for the Gateway IP address., where x typically equals 0, 1, 2, 11, or 100. Every brand of router seems to choose a different number as the DEFAULT setting. If you have access to your router configuration page, you can ALMOST ALWAYS change the default Gateway IP address of the network. Whatever the gateway IP address is, you should be able to type that directly into the Address Bar of your web browser. I RECOMMEND THAT YOU ALWAYS USE INTERNET EXPLORER because the manufacturers of the routers almost ALWAYS expect that 99% of consumers will be using Internet Explorer. 90% of routers have TERRIBLE configuration software that is rather glitchy when you make changes to it. Often, you may need to reboot your computer, or rest your modem when you make a major change to the configuration. 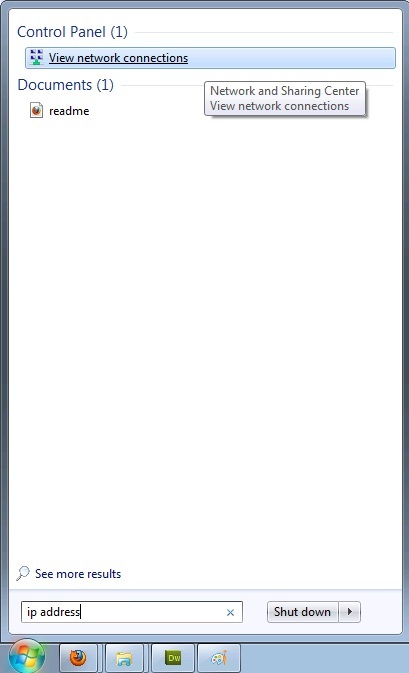 For this reason, I suggest you keep things as close to the factory defaults as possible to avoid connectivity issues. So to recap... if you have a router with an IP Address default of 192.168.11.1 then you will type ONLY 192.168.11.1 into the ADDRESS BAR of Internet Explorer. You SHOULD be prompted for a user name and a password if you have done this correctly. Some routers will require you to be plugged in to a specific port number on the router, or will not grant you access to the configuration. If this is the case, and you cannot do anything in your power to connect to the router, then skip this point. While it's easier if you DO have access to your router configuration page, it is not absolutely necessary. Find the instruction manual for your EXACT router and find out what the default IP address of the router is. The Gateway IP address of basic-to-moderately complex networks is nearly always the same as the IP of the router device itself. 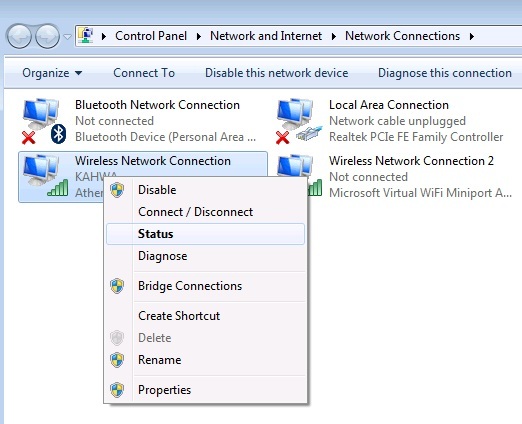 You don't NEED to access your router configuration page to make your Windows 7 computer have a static IP address, but it certainly makes finding out what IP Addresses you should use on your network MUCH more obvious and easy. 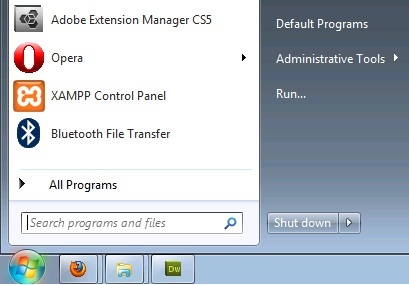 You can figure out your internal IP address in Windows 7 by going to the START button and typing in "IP ADDRESS" (without the quotes) in the bottom right hand corner where the textbox is. The textbox will read "search programs and files", type "ip address" where you see that. You should now see "View Network Connections". Click that. Now, you will see your Local Area Connection. 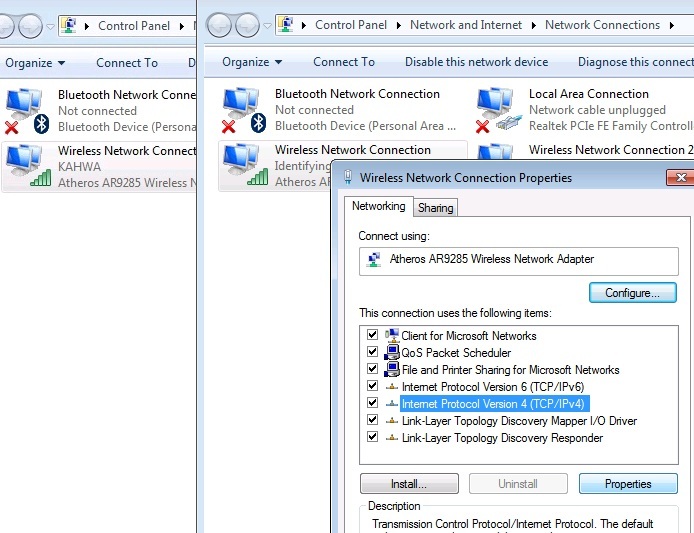 If there are multiple devices listed, YOU MUST FIGURE OUT WHICH ONE OF THESE DEVICES IS THE ONE THAT IS CONNECTED TO THE ROUTER. If you are connected via a wireless connection, then you should look for a wireless device. If you are connected to the router directly with a network cable, then you should look for a device that does NOT have any indication that it is wireless. Windows 7 provides rather adequate icons to differentiate these types of connections. When you find the device that you are using to connect to the router with, right click on the icon with your mouse pointer, and select "Status". It's usually the second option from the top on the list when you right click the icon. Next, Click on the "Details..." button in the middle left portion of the window, usually under "Speed:". This will give you a breakdown of all the connection details that you need for your computer. The most important details to figuring out a good static IP address for your machine is IPv4 Address, which is the IP address CURRENTLY configured on your computer, and IPv4 Default Gateway which is the IP address of the router you are using. My router uses the Default Gateway IP of 192.168.11.1 so I use 192.168.11.2 for my computer that I am connecting to the router with a networking cable (Cat5/Cat5e/Cat6 cable wire with RJ-45 connectors that look like big fat phone line connectors). 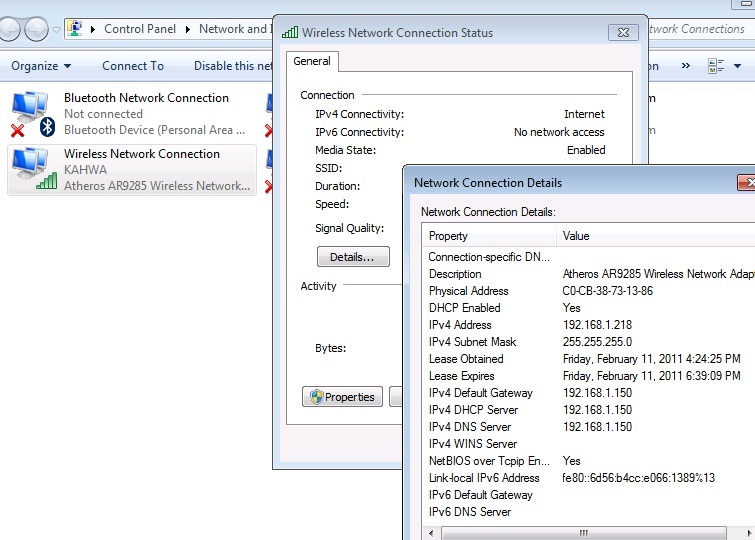 You can type in "IP ADDRESS" (without the quotes) again, click "View Network Connections" again, and find your Local Area Connection device icon again, and right click it again, but this time go to "Properties". It's usually at the bottom of the list after you right click on the Local Area Connection device icon. You should now see a list that starts with "This connection uses the following items:" and you will see options with checkboxes on the left side. DO NOT UNCHECK ANY OF THESE ITEMS UNLESS YOU KNOW EXACTLY WHAT YOU ARE DOING!!!!!!!!!!!!!!!!!!!! You can either double-click on that item or single click the item to highlight it and choose "Properties" on the right hand side underneath the list of items. "Use the following IP address"
You will chose "Use the following IP address"
Enter the IP address that is only one digit different from the Default Gateway Address as mentioned above. For example if your router and Gateway IP Address is 192.168.11.1 then try to use 192.168.11.2 or 3 or 4 or 5 or 6... you get the idea? In the Subnet mask section, this should default to 255.255.255.0 - if that is the case, then leave it be. there is about a 98% chance that this will be correct for your network. If you are messing around with the subnet mask settings in your router, then you probably aren't in need of reading this rather long-winded explanation of how to set your PC to a static IP address... you probably know what your doing. This explanation is for those who DO NOT. The Default gateway portion should be set to.... you guessed it... 192.168.x.1 where the x represents what ever your brand of router uses as the default gateway IP that you found earlier. VERY IMPORTANT INFORMATION AND YOUR DNS SERVER SETTINGS!!!! You will need to set the DNS server address manually when setting an IP address manually. You will need to contact your ISP (Internet Service Provider - Cable Internet, DSL, FiOS, etc.) for the DNS Server IP addresses (at LEAST TWO DNS SERVER IP ADDRESSES SHOULD BE ENTERED WHEN CONFIGURING AN IP ADDRESS MANUALLY!). Fill in both fields: Preferred DNS Server IP AND Alternate DNS Server IP. IT IS VERY IMPORTANT YOU GET THE DNS SERVER IP ADDRESSES EXACTLY RIGHT! When you are finished, look over everything one last time to make sure its all entered correctly... and click OK. IF IT IS NOT ENTERED CORRECTLY, YOU WILL NOT HAVE INTERNET ACCESS!!!! AGAIN, you MUST not have any other computer on your network using the same IP address that you are configuring as the Static IP address of your PC. If 2 computers have the same IP address, they will both compete for the same IP address and at least one if not BOTH computers will NOT have access to the internet or the internal network!!!!!!! I like to configure my static IP addresses in a higher range. Such as 192.168.11.10, 11, 12, 13, etc. so that way the router will not try to give an IP address out that is manually configured on the computer.